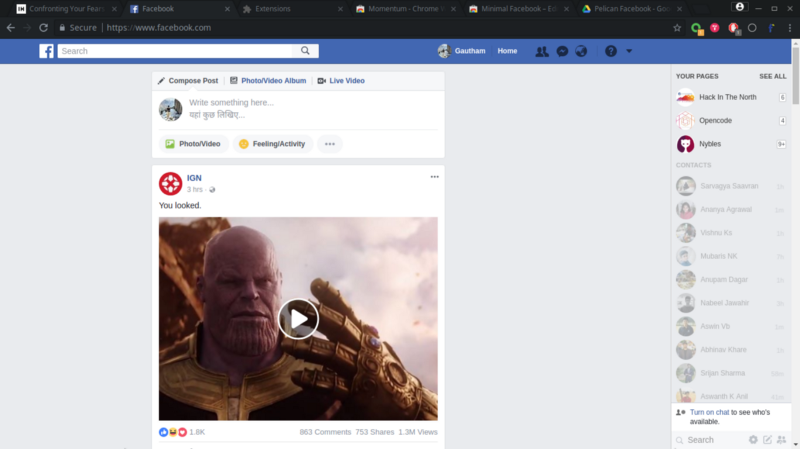 Chrome extension to Optimise your Facebook experince. Being a college student I always faced the issue that while doing something like assignment when I used to start chatting with somebody regarding it I always ended up spending hours scrolling timeline which always resulted in making me lag behind in time and thus creating last minute fuss. So to solve this problem I decided why not to make the timeline and notifications itself get disabled. Another problem everybody could relate to was the incredibly complicated unused daily things that appear on facebook. So to solve these issues I ended up making Pelican with two modes namely focus and minimal mode. 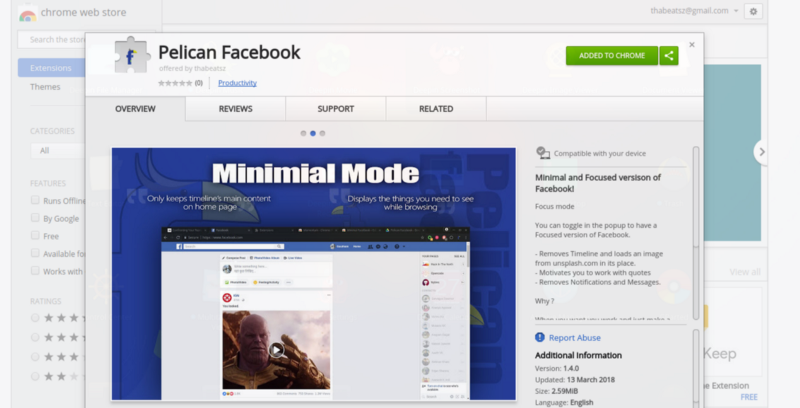 Minimal mode is designed to solve the other issue of getting rid from the not so useful things on Facebook. 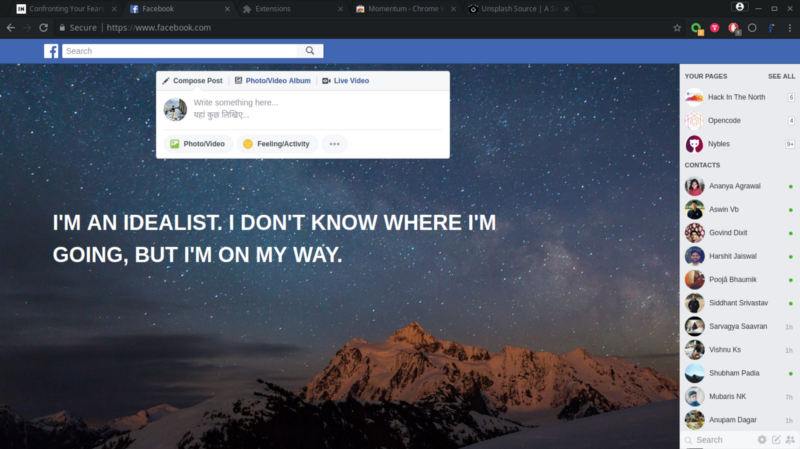 Moreover, being a big fan of minimalism my main goal of this was to make the Facebook minimal. Thus, I ended up deleting everything except the news feed and chat, as they were the reason because of which I use to open Facebook 90% of the time. Focus mode is designed in a way that you don’t get notifications for messages and other things and furthermore timeline is also disabled thus letting the person stay focused on the task in hand. To further give motivation to work I Quotes and unsplash image are added in focus mode. You can Download Pelican from chrome web store at this link .